To see my rating on any of these books click on the Goodreads button on the right. I joined the Science Fiction Romance Challenge for 2010. The list of SFR books I have read this year is on the side bar but I wanted to call attention to the list one more time before 2010 is over. Some of the books were new in 2010 and others were books that I did not find until this year. I hope some of you will find some new titles and authors to try. For many stories I know the destination and I read for the journey. In Damage Time I was kept guessing about the destination and the journey was never predictable. Colin Harvey has created a damaged United States where resources have been exhausted and society has moved back to the city. There is a new technique that allows you can have your memories removed and sold for other to experience. Once removed the memory is gone for good. The technology has to be used with great care because you can leave a person with so few memories they become a vegetable, unable to learn anything again. Detective Pete Shah is a NYPD Memory Association Specialist who reads memories searching for the criminals who strip memories from unwilling victims leaving them dead or as good as dead and sell those memories on the black market. As he closes in on one of the prime suspects in the illegal memory stripping business he is framed for murder. That is just the start of his problems. Read Damage Time to see what else happens. 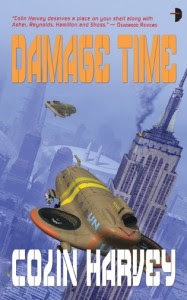 Damage Time is a very intense book filled with action, unusual characters, and a unique look at what the future could bring. Damage Time kept me guessing. I would never have guessed the destination while reading Pete Shaw’s journey. Read the book and see if you would add another word to the Science Fiction label. Angry Robot published Damage Time by Colin Harvey in 2010. I purchased Damage Time from Borders. I just finished two SFR books that use pregnancy as one of the main issues in the plot. The stories and the plots are very different and I was struck by how an author can use the same plot element and arrive at such diverse stories. As Strange Little Band opens Addison Harris is pregnant, “ A Petri dish, catheter, and a thinly veiled order from Triptych VP Daniel Gibson are responsible for Addison’s condition.” Shane Myers, another Triptych employee, does not know he is the donor for Addison’s baby. What follows when he learns is a very different romance. Much of the time neither Addison nor Shane are nice people. Both however are great parents. Triptych is not a nice company to work for and does whatever it can to cause trouble between the two. The mix makes for a dark love/hate romance that spans years. I first read about Strange Little Band on Galaxy Express. When I followed the link I found I could download the first half of the book free. I found the story fascinating and had trouble putting it down so I purchased the full book from Smashwords. The title comes from something Erma Bombeck wrote where she talked about a family being “a strange little band of characters”. Smashwords published Strange Little Band by Nancy Brauer and Vanessa Brooks in 2010. The Morcai Battalion: Invictus is the third and in my opinion the best book in this series. Dtimun, the commander of the Morcai Battalion and Madeline Rusze, the Medical Chief of Staff return with a new challenge. A visitor from the future tell them that that they must rescue their enemy, Rojok. The only way to land on the planet where Rojok is requires them to go through a bonding ceremony where Madeline will become pregnant. Nothing works out as planned. Invictus is a more traditional SFR. There is tension, danger, overwhelming obstacles and many surprises. Susan Kyle is better known when she writes as Diana Palmer. The Morcai Battalion: Invictus can be read as a stand-alone. If you have not read the two previous books they are The Morcai Battalion and The Morcai Battalion: The Recruit. 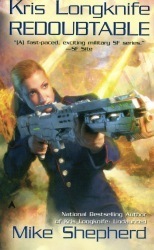 Luna published The Morcai Battalion: Invictus by Susan Kyle in 2009. I purchased Strange Little Band from Smashwords and The Morcai Battalion: Invictus from Fictionwise. Labels: Addison Harris, Dtimun, Madeline Rusze, Morcai Battalion, Rojok, Shane Myers, Strange Little Band, Susan Kyle, Triptych Corp. 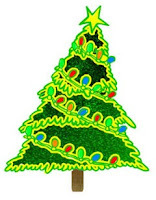 The SFR Holiday Blitz is Here! 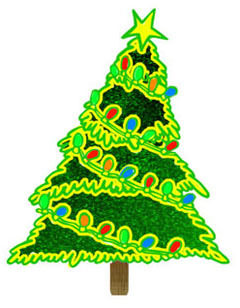 The SFR Holiday Blitz is Here! Go over and check out the SFR Holiday Blitz at Galazy Express. This year there are over 50 free books. Be sure to go to all of the blogs listed to enter in each contest. I read The Iron Duke by Meljean Brook, the first book in The Iron Seas series and found a complex world filled with layers of mystery and a lot of secrets, some of them explained and some not. I wanted to know more about Meljean and how she created this intricate world so I asked if she would stop by for a brief interview. Here is Meljean now. Meljean: Hi Jo! I'm so glad you enjoyed The Iron Duke! I'm sorry about the delay in getting here -- it's been a hectic week so far! Jo: Hi Meljean. Sit down, take a deep breath, relax and we will get started. What made you decide to write a steampunk novel? Meljean: On a personal level, it's simply that I've always liked steampunk and have wanted to write one for a while. It helped that there weren't too many steampunk romances out there, because it gave me a little extra reason to try my hand at it -- I've always written the types of books that I want to read, and I really, really wanted there to be more steampunk romance. So I pitched it to my editor, and she bought the series. But I also find steampunk itself -- the aesthetic, as well as the sense of adventure and invention, combined with a changing cultural landscape -- incredibly appealing, and well-suited to romance. By exploring their world, my characters also reveal this new world to readers, and the more challenges that they have to overcome, the more fun it is (especially if some of those challenges come in the form of monsters or giant robots.) It also allows for incredible amounts of class and cultural conflict, which allows me to explore the characters' relationships with each other. Altogether, the steampunk world itself simply allows me (perhaps even forces me) to examine every side of the developing romance, to let my hero and heroine overcome obstacles together, and really dig into their relationship. So that's probably my last reason for writing steampunk: It really challenges me to build a world that can reflect and reveal the characters as they fall in love (and they reflect and reveal the world, in turn.) It's a lot of work to build this kind of world, but work I really love. Jo: I read Mad Max’s story, “Here There Be Monsters” in the anthology Burning Up first. It was novella set in the same world as The Iron Duke and was published first. I noticed you made frequent use of novellas in your previous series. Is this a trend you are going to continue and if so why? Meljean: One reason is the business aspect: One of the best ways of letting readers know about your work is by getting it in front of them ... but if no one knows about your book or your name, it's difficult to do that. So novellas and anthologies are often used by my publisher to promote the series, and we always hope that new readers enjoy the shorter stories enough that they'll look up the full-length novels. (This only works, though, if the novellas aren't terrible ... and some of mine are definitely better than others.) So whenever my editor asks me if I want to write a novella for an anthology, I never say no. But the second (and more important) reason is that it allows me to fill in little pieces of the world that wouldn't fit in a full-length novel. There are always characters and stories on the side that are waiting to be told, but that can't be included in the overarching storyline. Novellas are a fantastic way to add these stories to the series without paring them down into a secondary storyline or skipping them altogether. And I enjoy writing novellas. They often contain simpler plots and a stronger focus on the romance, and so they are a nice breather between the long, complicated novels. Jo: The story in The Iron Duke starts fast and furious with no introduction to the world that you created for the story. I wondered about the world but because of the way you presented explanations for the world I was never confused. Did you have this world mapped out before you started writing? How did you decide when and where to drop the hints that explained the history and facts about this world? Meljean: Oh, phew! Ha! this is always the most difficult part of worldbuilding -- making sure that you give the readers enough to understand the world, but not so much that it sounds like you're reciting a history lesson. I don't think that I always strike the right balance, but a rule that I've lived by in the past few books is: Give the reader everything they need to know to understand what the heck is going on, and give it to them when (or before) they'll need to know it. So if I mention something that I know will confuse a reader, or that doesn't have an explanation behind it, I try to explain (through context or within the dialogue/narrative) everything that they need to understand the information I've just given. This doesn't always work, and sometimes the explanation will come a few pages later -- but if I can, I'll include it beforehand. It also helps to know what will be familiar to readers, and what I'll need to point out as differences. And so with The Iron Duke, for example, I begin the story in a ballroom -- a setting that is familiar to anyone who has ever watched a Regency-era costume drama or read a historical romance. So everything FEELS comfortable for a reader, and that's when I can begin pointing out the changes I've made to the history and culture, both large and small: the differences between the bounders and the buggers, why the buggers are infected with nanoagents, and (while pointing out those differences) I can throw in a quick explanation of how the Horde conquered England. I also think that is why steampunk is so accessible: Even though the world has a history much different from ours, there's just enough that is familiar that readers don't have to work TOO hard to imagine the world. Even the giant robots and squid aren't too far of a step to take for anyone who is a little bit familiar with science fiction movies or Jules Verne novels ... these are ideas that are a part of pop culture, and so bringing them into a steampunk novel might create a world that is very different from our own, but it's not *alien*. As for planning it out ... Yes, I definitely have maps (of historical events like major wars and revolutions; of cultural/national migrations when the Horde conquered Europe, Asia, and Africa; of trade routes; of the areas that the different monsters inhabit and the locations of new settlements.) So the alternate history of this world is complete, for the most part, and it allows me to really integrate the history into the story, because it feels very real to me and to the characters. That said, I find that I add layers as I go along. For example, I might have a general sketch of the history of a region or a city, but as I write, I'll find new conflicts and pressures that exist within that city. Much like characters, I think it's important that the setting is three-dimensional, with as many facets and as lively a personality as the hero or heroine. Jo: That leads to my next question. I am fascinated by the craft of writing and the different approaches authors take. How do you structure you novels and what is your typical writing day like? 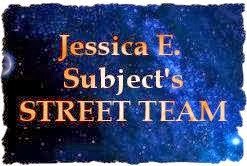 Meljean: I'm a pantser and an edit-as-I-go type of writer, for the most part. When I begin a novel, I usually know the main points that I want to hit, both for the plot and for the romantic relationship. And so as I write the story, I try to keep that in mind, and (if I can) develop them in a parallel manner, and in such a way that the world and the conflicts it creates is intertwined with the romantic conflict. That allows me to build the world and the relationship together, and it's incredibly satisfying when it all comes together at the end. That doesn't always work perfectly, though, and so I'll often get stuck in the middle of the book and try to figure out where I went wrong. Usually I find that I just tried to cram too much into the story -- so I'll pare it down, and begin writing forward again. Jo: Meljean I can see you have a very busy life. Thanks for finding the time to stop by today. I’m looking forward to reading other stories The Iron Seas series so keep writing. To learn more about Meljean visit her web site at http://meljeanbrook.com/books. Penguin published The Iron Duke by Meljean Brook in 2010. I purchased The Iron Duke from Borders. I loved The Iron Duke and after reading the book I asked Meljean Brook if she would do a short interview. She agreed and will be here tomorrow to answer some of my questions. The Iron Duke is the second published story Meljean has set in this universe. The first is a novella ‘Here There Be Monsters” that was published in the anthology Burning Up. That story is about Mad Max, a character that is mentioned in The Iron Duke. If you can read “Here There Be Monsters” before reading The Iron Duke as it gives a small glimpse of The Iron Seas world that Meljean is building for this series. Even if you don't read "Here There Be Monsters" you won't be lost. What Meljean does is scatter facts about the Victorian looking world and the technology it possesses just as you need them to stay up with the story. I was never lost because just as I wondered about something there was a tiny phrase or sentence that answered that question. That being said there is still plenty of mystery about the world of The Iron Seas that further books will have to explain. Of course that will not be as simple as he thinks. The body is a message and a threat and any relationship with the Iron Duke will put Mia and her family in danger. This is a book I found very hard to put down. The Iron Duke has conflict, a great plot, interesting characters (look for the Blacksmith), unique technology, action, adventure and of course romance. Everything it takes for a fascinating story. Kris is back for her eighth book and the she is still a trouble magnet. On the rim looking for pirates Kris and her crew end up in freeing a planet full of starving people. It would not be a problem if the planet were not in Peterwald space. As a result Kris is again meeting and joining forces with her new BBF, Vicky Peterwald. The Iteeche problem from Undaunted, book seven, is still around but it looks like Daring, book nine, due out in November of 2011 will be the one to deal with that problem. Full of danger, trouble and adventure Redoubtable is a good addition to the Kris Longknife series. Look for more of the same in the future. ACE published Kris Longknife: Redoubtable by Mike Shepherd in 2010. I purchased Kris Longknife: Redoubtable from Borders. I am a big fan of the Quinter Bride Series by Lauri Robinson and if you have been keeping up with the blog you know I recommended the first three books. For me the series just keeps getting better and book four, The Guardian Bride, continues that trend. Today Laui Robinson is here to answer some of my questions about the series. Laui, Welcome to Mixed Book Bag. Lets get right to the questions. Jo: Driving to Denver down Interstate 70 I was surprised to see a sign for Quinter, Kansas. Do you have any connection to Quinter and did you use any of the actual history of Quinter, KS in the Quinter Bride series? Lauri: That's funny, Jo. Recently a friend of mine was traveling on 1-70 and detoured into Quinter just to take a picture of the Welcome to Quinter sign and texted it to me. Though I was born in and now live in Minnesota, I 'grew up' in Southwestern Kansas. Scott City, or Nixon as it was first known, is the original setting for the Quinter Bride books, and where I resided. I've been to Quinter, as well as the Badlands, Dodge City, and many of the other places mentioned in the books. I use much of the actual area history in the stories. In Badland Bride, I elude the town of Quinter may have been named after one of the brothers, but the town was actually named by the Post Master General in Washington D.C. when the post office was incorporated, which is how many towns got their names. Quinter was first known as Me-lo-te Switch. I can't tell you exactly how I chose to use Quinter as their last name, it just came to me. Jo: When I started the second book I thought that Fictionwise had put another book with your title. I kept reading and realized that you had mixed time travel with historical fiction. You did a small mix of the paranormal in The Guardian Bride. Both were a great mix and added new dimensions to the series. What prompted you to make that mix? Lauri: I've actually had the wrong blurb put with my titles, so that does happen! I'm a fan of time-travel romances, and have always said if I could travel into the past it would be to Dodge City in the midst of the cattle drive days. I was excited to incorporate time-traveling within in Badland Bride. It's one of the many perks of being an author, writing what you love. The same is true with Guardian Bride. I believe in Guardian Angles and I think we all have them, whether we ever come to recognize them or not. 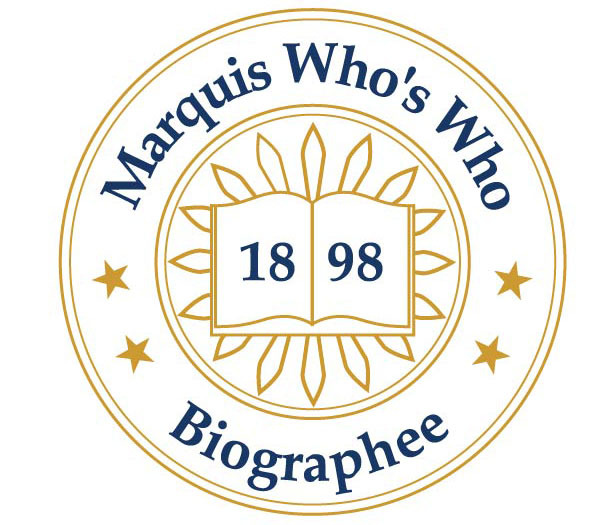 The characters prompted the time-travel and paranormal aspects. For Badland Bride, I knew it would take a very unique woman to fall in love with Skeeter. As soon as I sat down to write that story, Lila in her red Mustang came to me. For Guardian Bride, I knew their father would be in this story but didn't know exactly how. My outline for that story was very different and the beginning title had been Garden Bride. Once Summer formed in my head it took the 'guardian' route and everything fell into place. Jo: I am fascinated by the craft of writing and the different approaches authors take. How do you structure your novels and what is you typical writing day like? Each novel takes a different route for me. Some I know the characters before I begin, some I only know the settings, or perhaps a bit of history I want to build a story around. With each one, I try to create an outline, but the story rarely pans out to coincide with the outline. Once the characters take hold, they simply 'tell' me their story, and I type, and type, and type. Sometimes the first draft only takes a month or so to get on paper, other times its six months. The first chapter usually takes the longest, since it really is the set up for the rest of the tale to fall into place. Shotgun Bride, the first book in the series, started out as a stand alone story, it wasn't until I sent it to my editor that the series was born. The fifth book, Wild Cat Bride will be released April 1, 2011. I work four days a week for my local United Way, so my writing days vary. Monday-Thursday I try to get in two hours of writing each evening, if I don't have family, work, or volunteer commitments. Fridays I try to get in a full eight hours. Saturday and Sundays usually provide another four to six hours, but again it all depends on what else is going on, and a lot depends on the book. If it's really flowing, I've been known to stay up until 3 or 4am writing, and then get back up by 7am to make it to the day job. I'm lucky in the fact I can write about anywhere. In the car, in the living room, on the patio, up north at the cabin, etc. When a story is flowing, I just need my laptop and I'm set. Thank you so much for inviting me to stop by your blog today. I sincerely appreciate the opportunity, but more than that, I appreciate you for being a reader. You are the reason I write, and I'm so glad you've enjoyed my stories. Jo: Lauri , it was great to have you stop by today and answer my questions. I’m looking forward to Wild Cat Bride in April. It is always a little sad when a series ends. Be sure it let me know what comes after the Quinter Brides. I do think it will be hard to top Ma. The more I read the more I liked her. Lauri: It's funny you mentioned Ma Quinter. I've loved writing the Quinter Brides books and lately have been wondering if Ma needs her own story. Jo: Oh yes!! I would love for Ma to get her own book. She deserves her own HEA after all the work she did to get her sons married. The Wild Rose Press published Guardian Bride by Lauri Robinson in 2010. 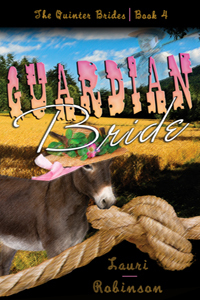 You can purchase Guardian Bride and the other Quinter Bride books from The Wild Rose Press, Amazon, Barnes and Noble, Borders, and Fictionwise as ebooks. They are also available in print.